Copy 20161108060652.mir to the same folder of machine B. Open info.ini D:\Program Files\Microvirt\MEmu\scripts of machine B. 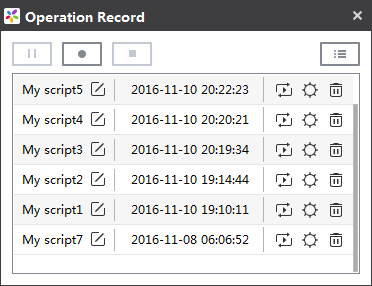 Open Operation Record, you will get new Macro (My script7) in the list.